There are many activities, programs, and events that a student can involve him or herself with in the bounds of the academic institution where he or she is attending. Academic and non-academic fields are open to help students be the best versions of themselves and for them to fully utilize their skills, talents, and abilities. However, these offerings will be fully functional depending on the student’s will to learn and improve. 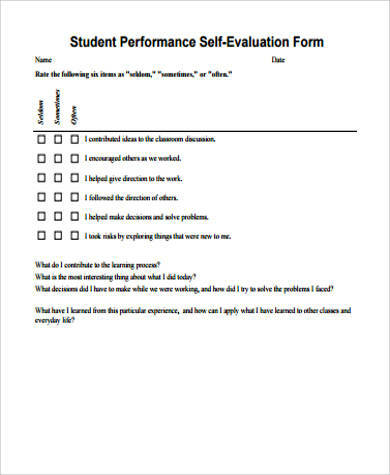 For a student to know his or her current academic condition, a student self-evaluation form may be used. 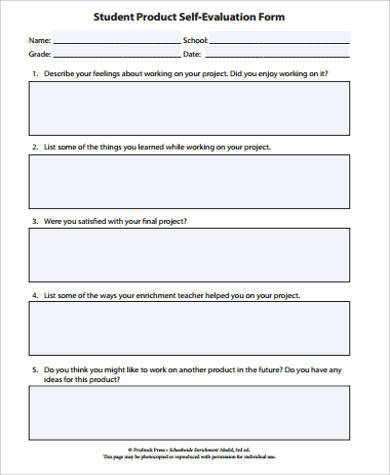 We can provide you with samples of student self-evaluation forms so that you can track your education activities and how well you do in each of them. Other than that, our Sample Forms usable for many other transactions are also available for download. the contributions of the student in different academic activities. 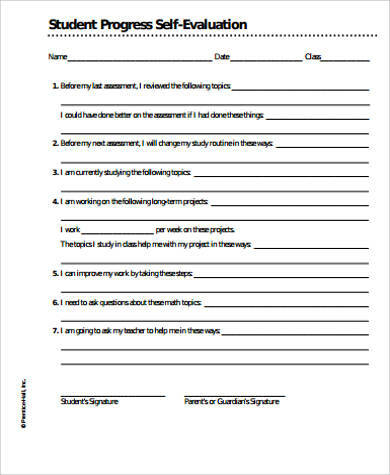 Aside from our student self-evaluation form templates, you may also download our Sample Evaluation Forms. 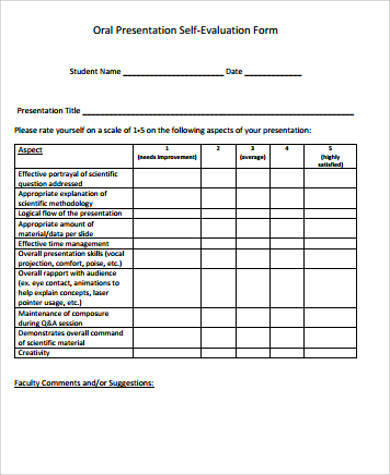 A student self-evaluation activity that uses a form to document all the items involved is used to create awareness to the needs of the student for academic improvement and the goals and objectives that he or she wants to achieve, which is the reason for the improvement needed to be implemented. 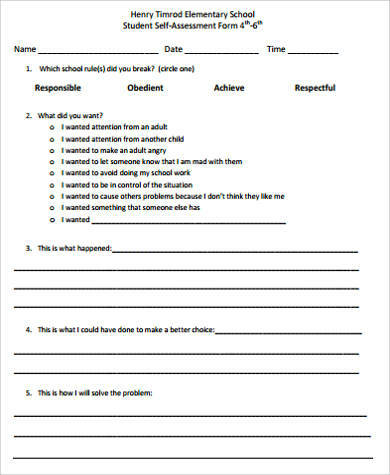 A student may start evaluating with his or her academic performance. It can be done by looking at his or her previous academic grade point averages and compiling them per subject and per grade period or semester. 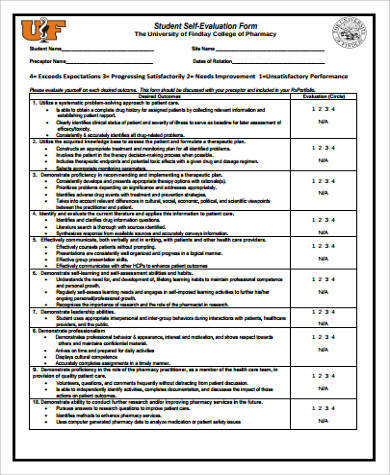 The characteristics of the student in the academic institution may also be included in a student self-evaluation form. 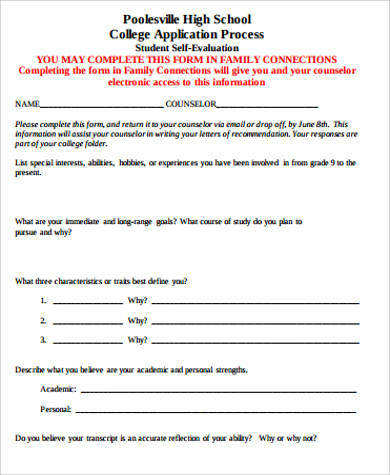 It includes his or her treatment to co-students, professors, school personnel, and other people that are usually seen in a school setting. The study ethics of the student should also be reviewed as it greatly affects the academic outputs that a student is to have. It can focus on the reading and reviewing time allotment of the student, his or her ways in learning specific subject matters, and the results of those processes. 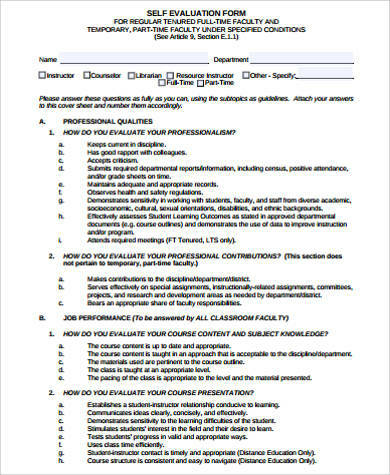 There are still a lot of items that you may include in a student self-evaluation form depending on how related they are to the achievements that you want to have in the field of academics. 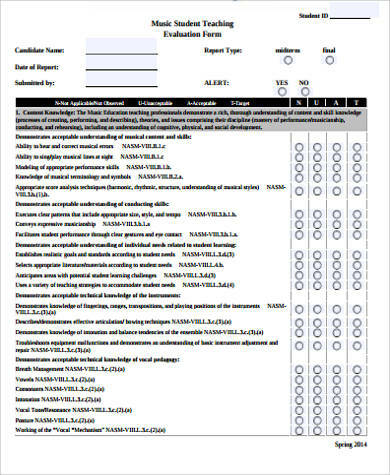 Other than our student self-evaluation form templates, you may also be interested to browse through our downloadable Employee Self-Evaluation Forms.